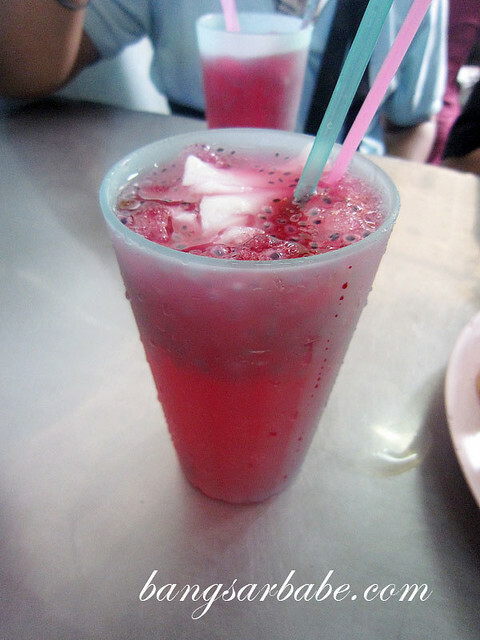 Penang is known for its cendol and ais kacang but I recently learnt about Ais Tingkap, a rose coloured drink with coconut flesh and basil seeds (biji selasih). 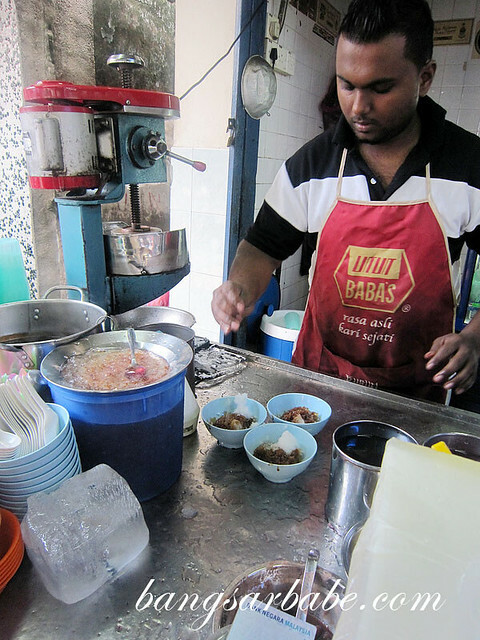 The Ais Tingkap stall is located in Tamil Street, beside Chowrasta Market. While it may look like a simple drink, preparation involves a number of steps. 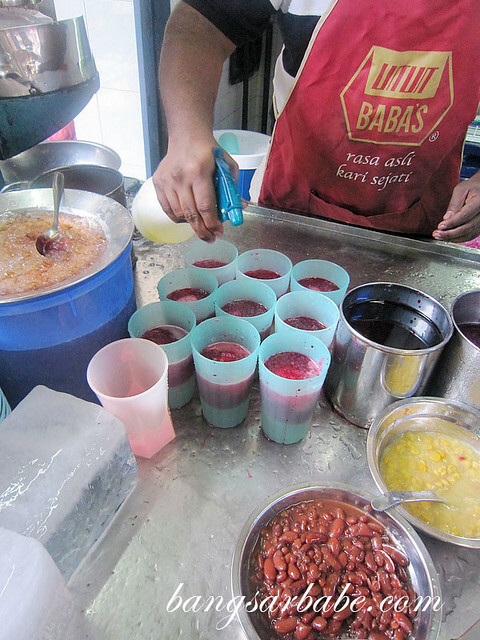 The guy fills the glass with shaved ice, sugar syrup, getah anggur, rose essence and basil seeds. 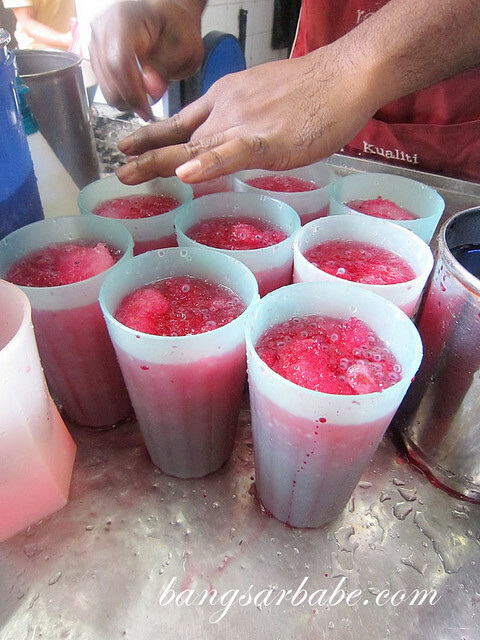 Then he sprays a mixture of Indian herbs, adds coconut water, coconut flesh and tops the glass with more shaved ice. The end result? A very refreshing and aromatic thirst quencher with a bit of texture from the basil seed and coconut flesh. Think of it as a very complex (and delicious) version of syrup air. Very cooling considering how hot and humid Penang can get. 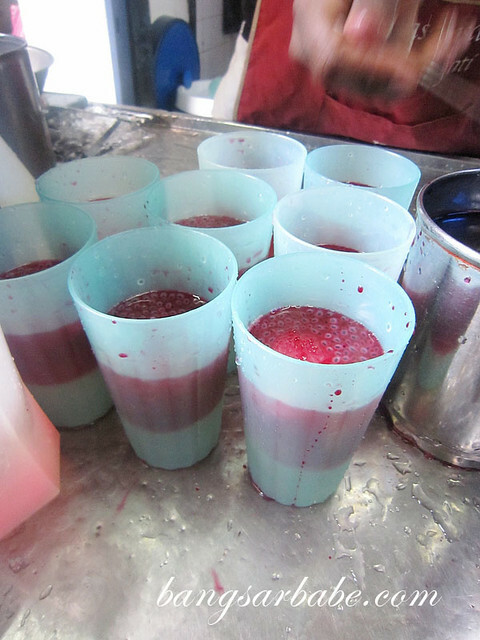 I gulped down two glasses of Ais Tingkap in 15 minutes. 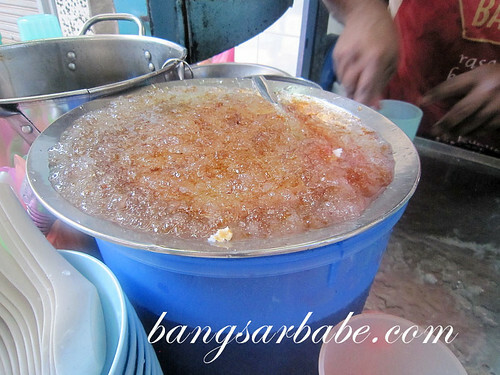 Besides Ais Tingkap, you can also order ais kacang and cendol from this stall. Ais Tingkap? 1st time hearing it. So many types of ingredients they put into the drink. But look very refreshing. BTW…What is getah anggur? 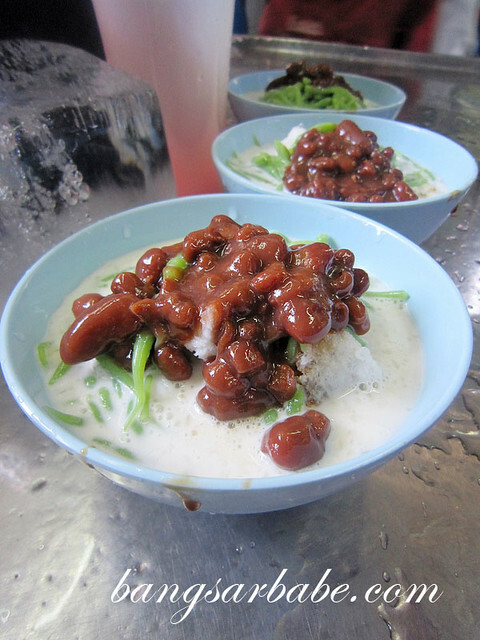 It’s the agar-agar like thing you get in Ling Chi Kang. They call it olibanum gum resin in English. 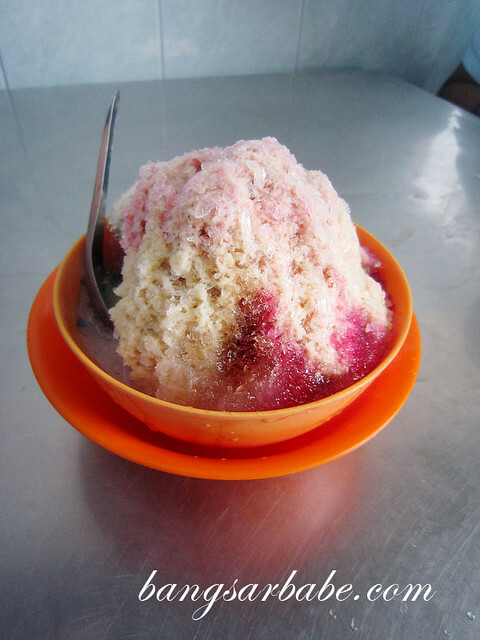 Always wanted to try this but ended forgetting about it when I’m in Penang. LOL!